What is the RBI Program? How can my association apply for accreditation through the RBI Program? 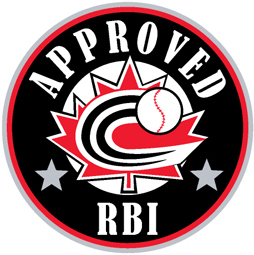 In order to become a RBI Approved association, simply send an email to rbi@baseball.ca addressing all the criteria in the document at the top of the page. Baseball Canada will contact you to approve your Association or to ask additional questions. Note: Each Association within Carillon Minor Baseball (listed below) has reached RBI Approved Status.